notice that the scope is set to ‘section’. so we get ‘2 of 2’ because there are only two pages in the section. why? because the text variable is for ‘last page number’ (4) not ‘total page count’ (6). 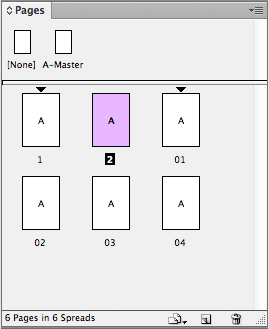 your challenge is to come up with even one scenario where you’d want to number your pages in that fashion. you’d have to agree that that’s pretty crap. 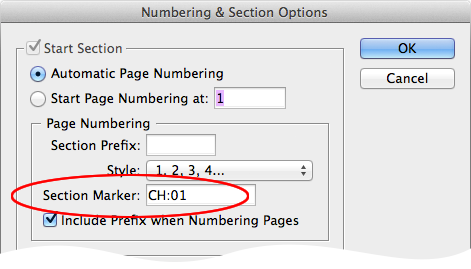 at the very least, InDesign should offer the option to use absolute page numbering for that text variable — maybe one day. 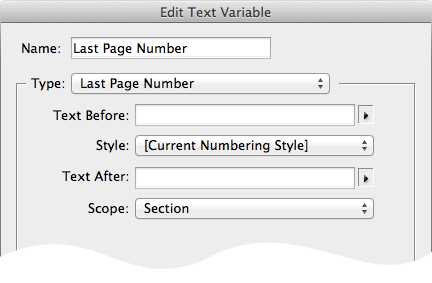 This entry was posted in indesign, indesign tip and tagged adobe, how to, InDesign, last page number, page numbering, section, tip, total pages, tutorial by macgrunt. Bookmark the permalink.